Ever heard the saying “the house always wins“? There’s a lot of truth to this. Casinos stay in business because they always win, which is by design. In the long run, casinos are the real winners, making millions of dollars that keep them operating. Maybe you have some extra money from a side hustle or you’ve been saving for months to do a little gambling. Or, check out these mobile casinos if you aren’t able to travel to a casino. Either way, make it more likely that you’ll actually keep some of that money with this list of casino games that you might actually win. How Does The House Always Win? No matter what casino game you play, the odds are always stacked against you. In order to stay in business, casinos have an edge. They have to make it so the odds of them winning your money are greater than the odds of you winning their money. Every game is designed to give the casino a slight advantage when paying out winners. The “house edge” is the statistical advantage the casino has in each game. The longer you play, the more you lose in most cases. You might be ahead, but over the long run, your winnings will eventually equal the house edge. The longer you play, the more unprofitable you usually are. Because of this, casinos try to keep you playing. Have you ever noticed that there are no clocks or windows in most casinos? Once you get engrossed in the game, you have no idea how much time passes by or whether it’s day or night outside. The free drinks also keep players playing (and the more players have to drink, the more daring they get with their bets). You can reduce the house edge by using an effective strategy for the various games, but the best way to win is to play the games with the lowest house edge. If you really want to win, you should consider playing these casino games (and reconsider playing a few others). Of course, everyone gambles hoping to win money, but sometimes people might just enjoy the game, regardless of their chance of winning. If you really want to make sure you walk away with money in your pocket, focus on these games. Blackjack has one of the lowest house edges in the casino. It’s also a lot of fun! If you use basic strategy, you can win often. If you are new to the game, you can print out a basic strategy guide that tells you what decision to make based on your hand and the dealer’s hand. You can bring this with you and use it while you play. If you’ve been to a casino and saw a lot of people around a table, hooting, and hollering, you’ve seen craps. It looks like a ton of fun but also seems a little intimidating, right? Once you learn, it’s really not that hard. There are several different bets you can make, with varying odds. Craps is the only game in the casino that has a bet with a 0 house edge. The more money you’re allowed to wager here, the better your odds are. Other than making sure you are only making bets with a low house edge, there’s not really any strategy involved with craps. 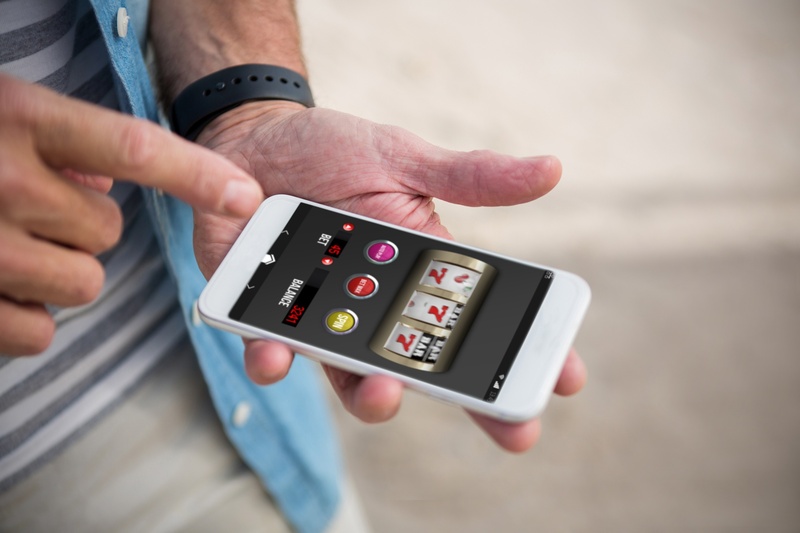 Pai gow poker can be intimidating for those who are beginners, but it’s another game that’s a lot of fun. There is some strategy involved, but the house edge is pretty low. It’s also a slower game, so you can play for a while at a leisurely pace. Caribbean stud poker offers a progressive jackpot, so you have the opportunity for a big payout. It also gives you the chance to socialize with other players. The house edge is higher than the other games on this list, but the progressive jackpot makes it an attractive choice. These games give casinos the highest edge. The odds aren’t great for players, but if you don’t really care about that, some of these games are generally enjoyable. There are two types of roulette: American and European. The difference between the two is the number of zeroes on the wheel. In European roulette, there is only one 0 on the wheel. In American roulette, there is a 0 and a 00. The addition of the 00 doubles the odds that the casino will win. If you absolutely have to play roulette, try to find a European roulette game as your odds of winning are much better. Some slot machines have low payouts, especially the ones in the airport in Las Vegas. Others have higher payout rates, as they are trying to draw in your business and keep you there. The progressive slot machines have low payout rates as well. A small amount of each bet is put in a pot to be a progressive jackpot. This reduces the payout of other wins and your chance of winning the progressive jackpot is about as good as winning the lottery. Keno also has terrible odds. The chance of winning a large jackpot is about as high as winning the lottery. If you want to actually win some money, stay away from Keno. Not all versions of video poker have a high house edge, but many do. The trick is to know which ones are more likely to pay out. If you know what to look for, you can find one with good pay tables and increase your chances of winning. This list of casino games can get you going in the right direction. If you’re serious about winning, try to pick games with a low house edge to increase your chances of winning. If you want a more guaranteed way to earn money, check out some of our other blog posts on how to make money online or from home. While it might not be as fun as going to the casino, the likelihood of making money is much higher!